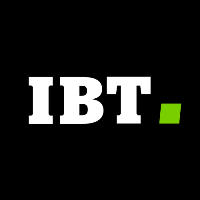 International Business Times has let over thirty staffers go as part of a large restructuring at IBT Media amounting to over half the newroom. The organizational changes include spinning off Newsweek as a separate entity, also integrating IBT with several of its niche outlets, such as Medical Daily and Latin Times, with IBT’s desks for international, business, tech, media and culture coverage all shut down. The desks for breaking news, sports and entertainment will be retained. Dayan Candappa will continue to serve as editor in chief, and IBT’s editorial director for tech, Marc Perton, will now assume editorial oversight for the aforementioned niche outlets, including Medical Daily, iDigitalTimes, Fashion Times and Latin Times. Newsweek has also seen several departures as a result. Departing editors include: managing editor Mark Bonner, business editor Roland Jones, media, tech and culture editor Michael Learmonth, deputy editor of media and culture Christopher Zara, European tech editor David Gilbert, science editor Charles Poladian, personal finance editor Lauren Lyons Cole, international editor Rebecca Greig, weekend editor Marcy Kreiter, senior news editors Mike Obel and Anne Torpey, news editors Erica Pishdadian, Lief Nielsen, Eric Linton and Gerald Putzer. 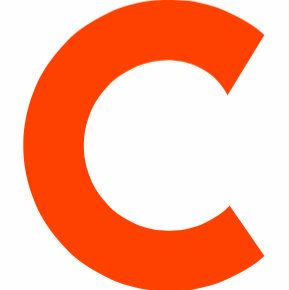 In addition, several reporters are departing, including senior writer Eric Markowitz, tech reporter Kerry Flynn, media reporter Brendan James, TV reporter Oriana Schwindt, reporter Max Willens, Los Angeles correspondent Max Pressberg, reporter Angelo Young, financial reporter Owen Davis, reporter Joel Warner, data visual journalist Carla Astudillo, international affairs reporter Erin Banco, energy and environment reporter Maria Gallucci and reporter Ned Resnikoff. It's been a great ride at IBT. Props to all my awesome newsroom peeps. Love you guys. I'm so proud of my @IBTimes colleagues and all the work we've done. Wonderful journalists and friends. Onward and upward! So I got laid off at @IBTimes today. It was a great 10 months & I learned so much & truly feel I’ve become better reporter & coder. Many of my colleagues have also been laid off. I would happily recommend all of them; it has been a privilege to work with every single one.